Members of the Kansas Senate's negotiating team on school finance look over an initial compromise offer from the House during the first round of conference committee talks Friday evening. They include Republican Sens. Jim Denning, left, of Overland Park, and Molly Baumgardner, of Louisburg, and Democratic Sen. Anthony Hensley, of Topeka. Topeka ? 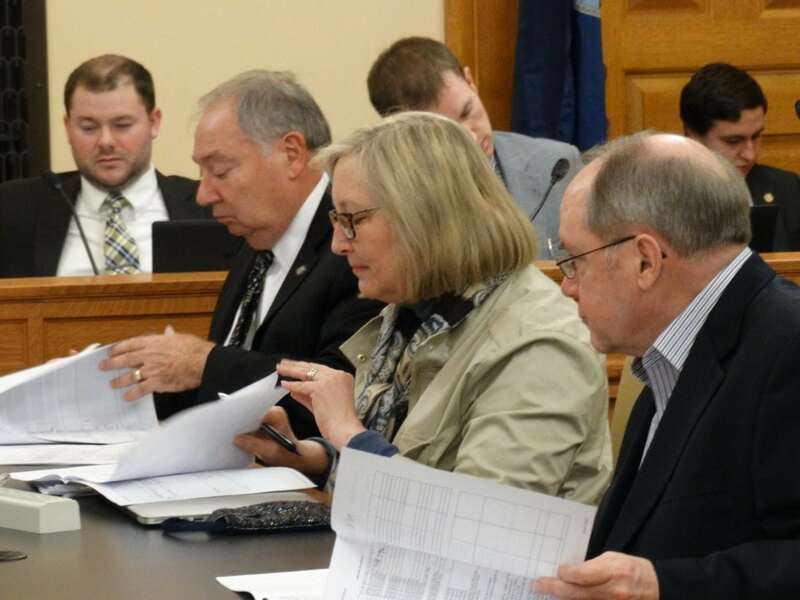 House and Senate negotiators took initial steps Friday evening toward trying to reach agreement on a school finance plan that will satisfy the Kansas Supreme Court’s demand to pass a constitutionally adequate amount of funding. But the two chambers remain far apart on the central question of how much new money it will take to meet the court’s standard, and they are racing to meet two critical deadlines, the first of which is approaching Saturday night. Saturday marks the 90th day of the 2018 legislative session, and under the Kansas Constitution, sessions in even-numbered years cannot go longer than that unless both chambers pass a resolution to go longer with two-thirds majorities. Without such a resolution, the 2018 legislative session will automatically end at midnight Saturday. The second deadline has been set by the Supreme Court itself, which has said the state must submit briefs no later than April 30 detailing what the Legislature has done to meet its October order to come up with a constitutional funding plan. The lack of progress so far even alarmed Attorney General Derek Schmidt, whose office will be responsible for submitting those briefs. Earlier, he had urged lawmakers to resolve the school finance issue before March 1. While each chamber has now passed its own version of a plan, the two sides are far apart. The House version would phase in roughly $522 million in new funding over five years, while the Senate’s plan has been described as a five-year, $274 million increase. But the Senate plan also makes major changes to the current formula that makes it difficult to determine how much of the increase is actually new money and how much is current funding rearranged into different funding streams. There are also major differences beyond the “base” funding increases that each side is offering, such as changes in the way limits on local option budgets are calculated and how transportation aid is funded. 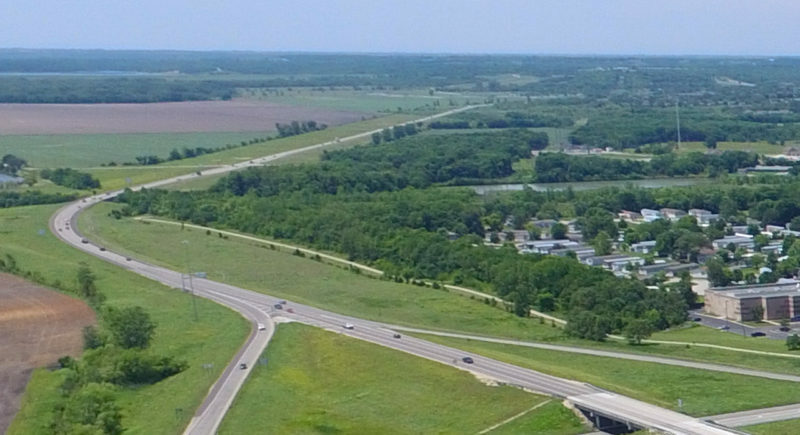 “I mean, it’s like the Grand Canyon in terms of the differences we have to deal with,” Senate Democratic Leader Anthony Hensley, of Topeka, said during a news conference Friday. In their initial rounds of talks, House negotiators only made offers on those other, peripheral issues, saying they prefer not to negotiate the differences in base funding until all other issues are resolved. The Senate, on the other hand, made clear it was not prepared to negotiate on the overall amount of money it was willing to offer. The House and Senate plan to come back into session at 10 a.m. Saturday in hopes of reaching an agreement by the end of the day. “We’re not making progress at this point, but we’ll give it another shot tomorrow,” House Speaker Ron Ryckman Jr., R-Olathe, told reporters shortly after the House adjourned Friday night.